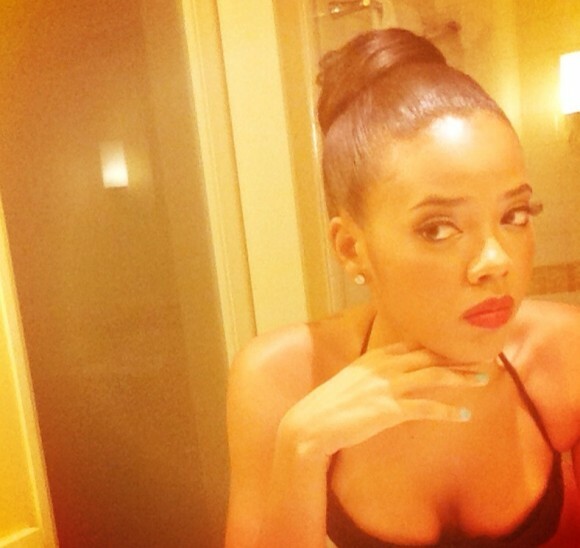 UPDATED: Angela Simmons Confirms Pregnancy, See The Baby Bump Photo! - Ooooooo La La! UPDATED: Angela Simmons Confirms Pregnancy, See The Baby Bump Photo! Last month, I spilled the beans on Angela Simmons' new mystery boo, non-celeb Sutton Tennyson who also has a criminal past. The two recently got engaged and soon after, rumors started spreading that Angela was preggies. She never confirmed nor denied the pregnancy gossip, but a new photo leaked online earlier today of her and her new fiance AND she's showing off her growing baby bump which confirms the news. Well, Angela couldn't hide her pregnancy anymore and decided to finally share the news. She said, "we are overjoyed and super excited to receive a blessing this big."